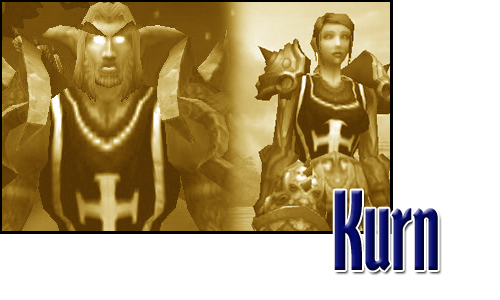 Kurn is the guild master and healing lead of Apotheosis, an Alliance raiding guild on the Eldre’Thalas (US) server. She originally played a hunter (Kurnmogh) through the original World of Warcraft game and decided to see what healing full time was like when Burning Crusade was released. She hasn’t looked back and now raids as her paladin, Madrana. Kurn enjoys ripping off people at the auction house, raiding in a 25-man setting despite her crappy video card and annoying the crap out of Majik.